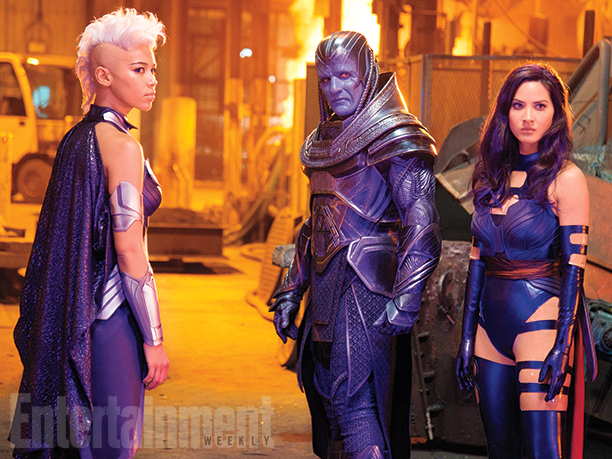 The iconic Marvel Mutants who will fight at Apocalypse's side as his very iconic Four Horsemen. These mutants have been brainwashed and manipulated into serving as the villain's personal guard. They become Death, War, Pestilence and Famine. We already knew that Angel played by Ben Hardy will become Archangel. The other three are Olivia Munn's Psylocke, Michael Fassbender's Magneto and Alexandra Shipp's Storm.